Today would have been Margaret Moseley's 99th birthday. We lost her one month ago. It was time for her to go, though, as her body had given out, despite a bright, funny mind that stayed intact until the end. I came under Margaret's spell in 1994. I couldn't believe it when I drove into her driveway and saw her garden on a spring day. Despite a rocky start (the article I wrote about her in the Atlanta Journal and Constitution appeared in black and white on a back page; she did not like that at all and let me know it), she and I became the closest of friends. It was impossible to go to her garden and not come away inspired. You caught her enthusiasm for plants, and you vowed to come home and try to emulate everything she did. You also had a plastic grocery bag filled with dark soil and some wonderful perennial or shrub she had just dug for you. For years, I vowed to write a book about her. Not only did I want her garden to be remembered, but I wanted to capture her spirit and enthusiasm, which inspired so many people, not only locally, but all over the world. 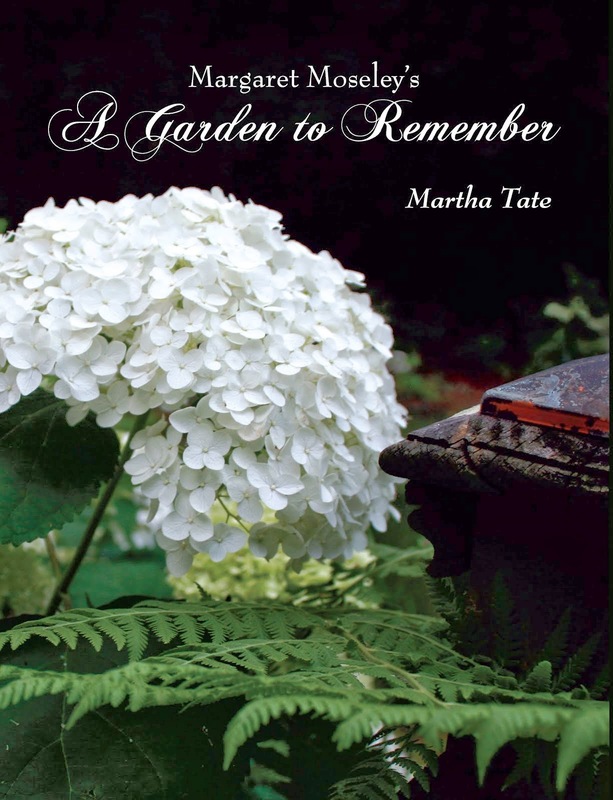 So, today I want to pass along some excerpts from Margaret Moseley's A Garden to Remember. The passages come from the section entitled "Hints." Margaret practiced several techniques that led to her success in having a year-round garden and something in bloom practically every day of the year. A reporter from the AJC, who wrote a feature article on her after she died, wanted to know if Margaret was humble about her garden. I had to laugh. "Not in the least!" I loved it when she would call me on a dark winter day or a hot, humid August afternoon and exclaim, "You ought to see my garden today. It's the prettiest it's ever been." - Don't ever mind moving a plant. Normally, I have to move things four or five times to get them in the right place...Also, I have no patience in waiting. If I want a plant moved, I do it immediately. As long as you can water, you should never fear moving a plant....It's better to get them in a place where they'll have the right amount of sun and shade. - If you live in an area where gardenias are hardy, plant one every 25 feet. I have at least a half-dozen kinds. -Hydrangeas can be easily propagated by layering. Take a lower branch, scratch off some of the green bark, make a slight dent in the soil, and place that part of the branch in the ground. Then, secure it with a brick. Leave several inches past the brick. After the roots form, cut the new plant away from the mother plant....Azaleas can be layered in the same manner as hydrangeas. - Place a good size rock on top of the soil next to a new plant, and water evenly for at least a year. The rock keeps the wind from rocking the roots. This applies for plants three feet or taller. I've always done this, and it works. -Daylily foliage can look unsightly after the flowers are spent. I cut the foliage back to the ground after they bloom. You'll get a new flush of leaves, and this will also give other perennials a chance to shine. - When someone gives me a plant or when I buy one, I make sure it gets into the ground immediately. There's no holding pen at my house. I find a place, even if I have to dig out into the lawn and expand one of my rock-lined beds. -Don't plant anything with big roots next to the house. Also, remember that camellias, sasanquas and hollies get very tall. They're not good foundation plants. Plant them where they won't have to be pruned so hard or at all. - Seize an opportunity. I thought I would die when I lost a huge limb off my ginkgo tree. I took advantage of the new area and filled it with blue pansies in winter and golden creeping Jenny and petunias in the summer. This also created enough openness for the bluebird box. I have several families of bluebirds every year. - If you have burrowing critters that are eating roots, place the plant in a black plastic pot with the bottom cut out, and plant in the ground. Most of all, Margaret cherished her friends, and they cherished her. We celebrated her birthday with her every year, gathering on her sun porch surrounded by hydrangeas coming into bloom and a special light that shone through the garden and radiated from this remarkable character. Happy Birthday to one whose heart touched everyone she met and whose soul belonged to every plant she touched.